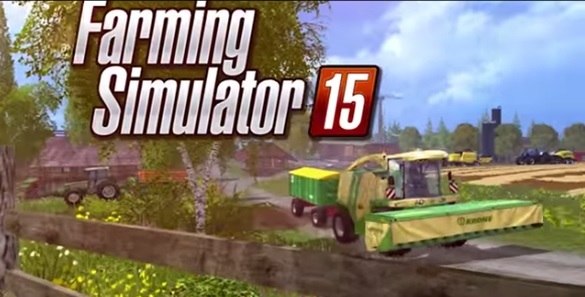 The fifth generation Farming Simulator 15 will be available on Playstation and Xbox from May 19, 2015 it was announced recently. Previously, the game has only been available on PC and Mac, now it will be available on Playstation and Xbox, distributor of the game Focus Home Interactive says. The game, which is the most successful and widely played farming simulation package, provides users with a realistic ‘virtual’ farming experience. “With a brand new graphics and physics engine, Farming Simulator 15 offers an open world filled with details and visual effects,” it says. The game is set across hundreds of acres of land offered by the new Nordic environment, and a renovated North American environment, Focus Home Interactive says. Players of the game will be able to manage and develop their own farm: harvesting, animal husbandry (cows, chicken and sheep), sales of fresh products, investment in new and more powerful vehicles or tools, Focus Home Interactive says. Woodcutting has been added to the game also it says. The game features over 100 vehicles and tools and includes 40 licensed brands such as New Holland, Steyr and Husqvarna. As users increase their expertise, they will be able to ‘trade-up’ their equipment, and can aspire to own the world’s most powerful combine: the New Holland 653hp CR10.90. Focus Home Interactive says that players of the game can invite friends to play, which can increase farm productivity by sharing tasks or cooperating on bigger tasks which will develop the virtual farm faster.